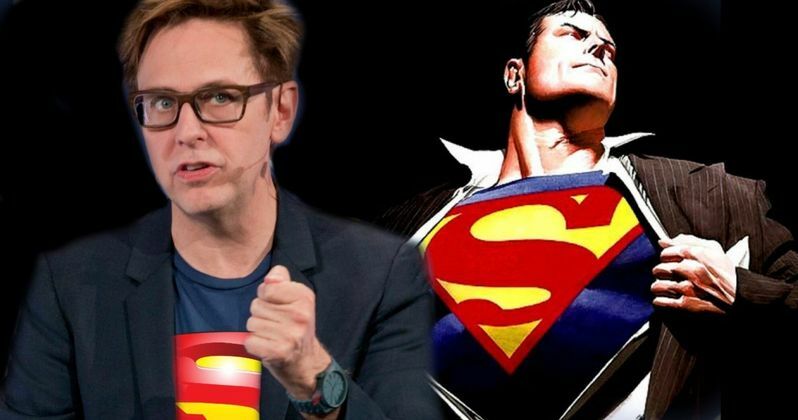 Before taking on Suicide Squad 2, Warner Bros. offered James Gunn a shot at taking on a Superman movie. It isn't clear if this would have been the long-talked about Man of Steel 2 with Henry Cavill or another project. However, there were a lot of whispers about a Man of Steel sequel popping up frequently towards the end of last year. But, it looks like Cavill, like Ben Affleck, may be finished with the role, leading one to believe that Gunn would've been starting from scratch. In addition to a Superman movie, Warner Bros. gave James Gunn a pick from a variety of different projects. One of those that apparently caught the director's eye was the DC Super Pets movie, so we could end up seeing some of Gunn's influence on that project, though he won't be directing. But, going back to a Superman movie with Gunn at the helm, what would that have looked like? There's still time for that to happen, but one would imagine that it would be pretty different from what we've seen over the years. It has been said that James Gunn is bringing a "fresh take" to The Suicide Squad. What that means isn't immediately clear, but with Gunn on board, it will more than likely be a lot different from what David Ayer did. There have been rumors that Margot Robbie won't return as Harley Quinn and that Jared Leto won't be on board as the Joker either. That has not been confirmed at this time, but that could fall in line with the "fresh take" talks that have been going around.